Well, you have exported your help file into a set of HTML pages or a standalone CHM help file and you are ready to upload them to your server. Right? Stop! Check the appearance of your help file. The manual should follow the common style set by your corporate identity, which most likely means that you should use the same color themes, fonts, and corporate graphics. 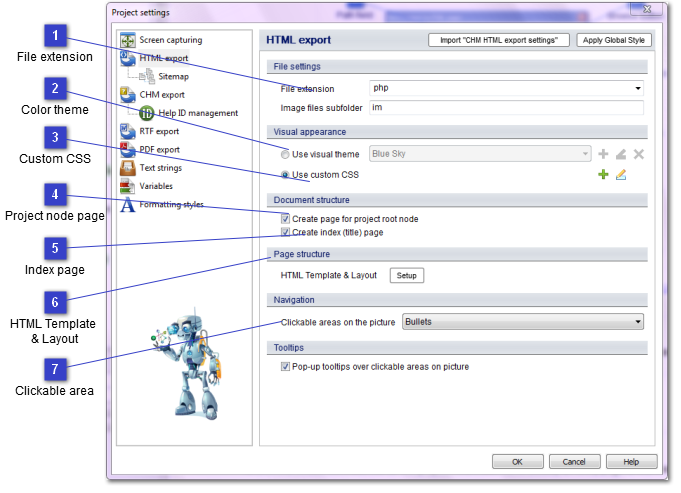 Dr.Explain help authoring tool allows to customize appearance of your help pages by means of CSS or visual templates collections. With Dr.Explain tool you can create a professional help system that matches your corporate standards and visual styles.